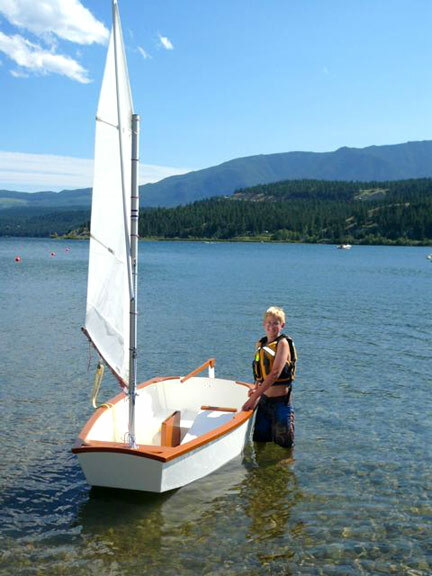 Carrie Sowden has a passion for her nautical archeology profession. She brought stimulating enthusiasm to her presentation of a Lake Erie disaster happening 140 years ago. On a very dark June night in 1868, the brig CORTLAND eastbound from Detroit and the side-wheeled steamer MORNING STAR westbound from Cleveland collided eight miles off Avon Point. The MORNING STAR sank in fifteen minutes. The CORTLAND stayed afloat for an hour and a half before settling to the bottom. Thirty eight people died in the collision or drowned at the site. Carrie, who is a diver and associated with the Great Lakes Historical Society in Toledo, Ohio finds this disaster to have a particular fascination. Newspapers of the day touted the CORTLAND launched only ten months earlier in August 1867 as one of the finest ships built on the lakes. It cost nearly twice as a more conventional ship. It was the biggest lake’s sailing ship of its day, 195 ft. overall, beam of 34 ft. Her mainmast, 34” in diameter at the partner stood 94 ft. tall and the topmast reached 150 ft. Her builder strove for high hull strength using twelve inch wide frames spaced on 22” centers and closed the hull with four inch think planks. But seaworthiness wasn’t the only objective in the design plan. The CORTLAND was built as a trophy to the business success of its owner A.P. Lyman who in twenty years turned a general store in Sheboygan, Wisconsin into a sprawling fortune involving stores in five cities, ships, warehouses, railroads, plank roads and a shipyard. Built in Sheboygan, crewed and captained by Sheboygan men, and owned by a business titan of Sheboygan, her name curiously has nothing to do with Sheboygan. It is believed to have been named for the owner’s boyhood hometown in New York state. One hundred and thirty eights years would pass before people once again touched the CORTLAND. In 2005 divers using side scanning sonar found the wreck. About twenty years previously in the early 1980’s, the MORNING STAR wreckage had been found in 65 ft of water. If both went down in essentially the same spot why did it take so long to find the CORTLAND? The reason is that soon after the sinking of the two vessels, the owners of the MORNING STAR attempted to salvage her since the boat was not insured. They thought they might recover some of their loss through sale of the steam engine, gear, and the cargo of mower machinery. Somehow salvagers picked the boat off the bottom and moved it toward a shipyard facility in Lorain. Misfortune intervened again however, this time causing the boat to be dropped before reaching Lorain. The owners did not attempt a second salvage effort and abandoned the wreck. Carrie is particularly proud of the CORTLAND ship’s bell recovered with the permission of the state of Ohio. It has been carefully restored under stringent conditions by the Great Lakes Historical Society. Surprisingly, the bell is not cast in brass nor is it of a conventional nautical design. Rather, the bell is iron and is of a typical farm bell design of its day, cast by a foundry in Seneca Falls, New York. Carrie believes the bell, like the name of the boat itself, is another homage to the owner’s boyhood roots in New York state. If shipwrecks strike your fancy, Carrie suggested www.shipwreckworld.com as a resource for more information on these large sunken time capsules resting under a blanket of water.